So you're going for it. A fabulous Vegas wedding. 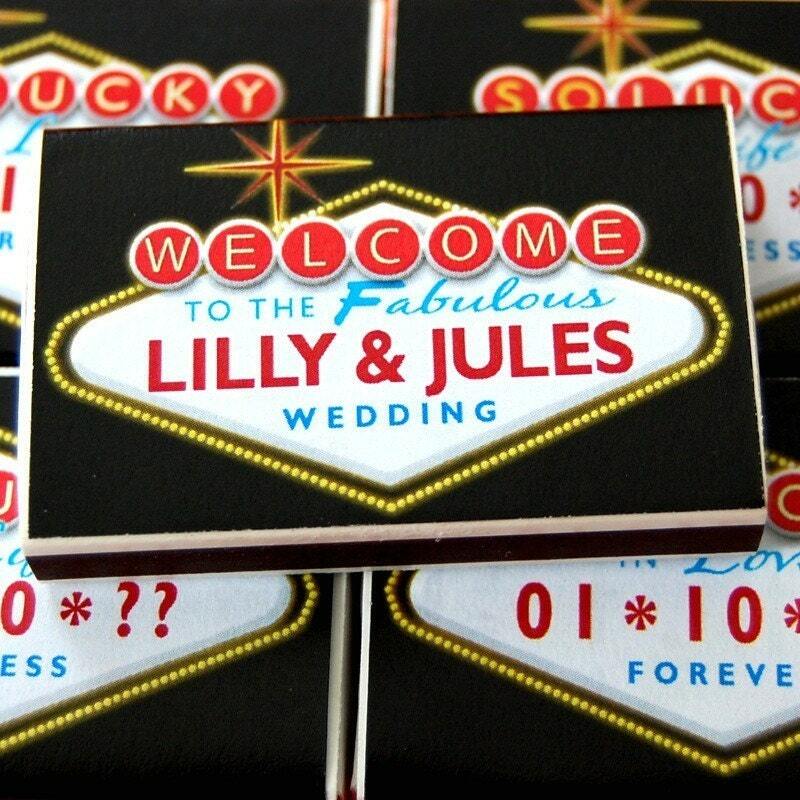 Well, a fabulous wedding deserves some fabulous wedding favors like these custom printed Vegas Lites. Perfect for you and your flame to celebrate the moment in style. 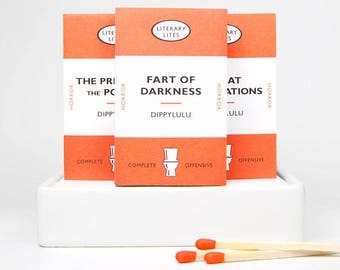 Tell me the names and date (pictures 2 & 3 show both sides) and I'll custom print and assemble the matchboxes for you. Convo for details on larger order pricing -- the more you buy, the bigger the discount. I can also adapt the design for other Vegas occasions. Blessings, bar mitzvahs, bachelor parties. You name it, Dippylulu will do it.